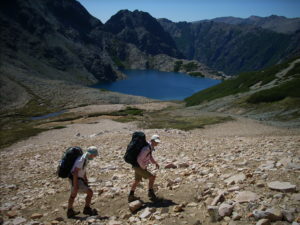 Impressive 4-day trekking traverse trough Bariloche’s nicest mountain ridges and mountain valleys, in the heart of Nahuel Huapi National park, in North Patagonia. On the shore of lake Nahuel Huapi, the city of Bariloche is the entrance door to the Patagonian Lake District. While crossing forests and valleys, we will appreciate beautiful views of the different lakes and volcanoes in the area. 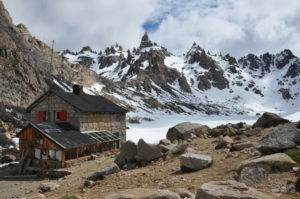 For this trip, we’ll stay at the mountain huts Frey, San Martin and Italia. Although there are no showers, there are a lot of beautiful Lagunas to take a swim each day. As for each day meals, we will carry our lunches in our backpacks but enjoy dinner and breakfast from the huts. The fantastic atmosphere in the Argentinean refuges. People are very welcoming, friendly, relaxed and open minded. Sometimes they even play music. The chance to admire some breathtaking views along the way. One of the most beautiful is the one of the Nahuel Huapi from Mount Lopez and Cerro Tronador, an old sleeping volcano. Our last stop in Colonia Suiza. This beautiful village is preserved like it was 150 years ago in Switzerland. 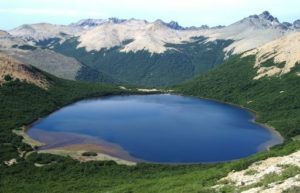 Meet your UIMLA hiking guide in Bariloche and enjoy a dinner together. 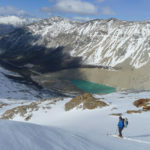 Our trekking starts at the feet of the ski area Cerro Catedral, one of the most known ski areas in South America. We’ll follow the “picada del Frey” up to Refugio Frey (1700 m) next to the Toncek Laguna. 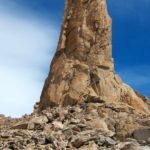 It’s surrounded by nice granite towers which are famous for rock climbing. We walk up to la arrest del Cerro in-between the granite towers (los Catedrales) and down to Rucaco valley.After reaching Brecha Negra pass it’s only an hour down to Refugio and Laguna San Martin. A technical trail brings us up to Cerro Navidad. From here we descent the Goyes valley for a bit an take a short ascend up on the Laguna Negra trail to the Refugio Italia. 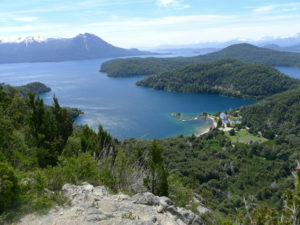 Last trekking day with great views over the Nahuel Huapi Lake. 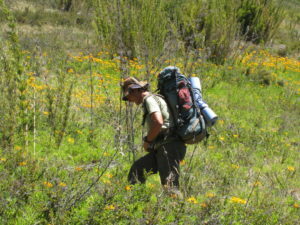 We leave the Laguna Negra behind us and climb up to Cerro Baileys on an easy trail. 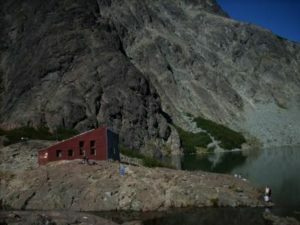 On our way down to Bariloche we will stop at Refugio Lopez (1670 m) for a drink. After a refreshing beer in Colonia Suiza we take the bus back to the Hotel in Bariloche. 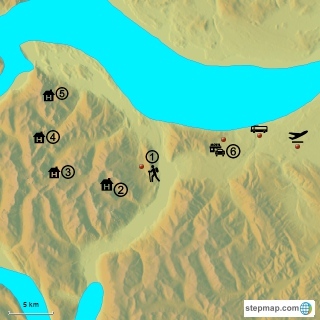 You need to be in good physical shape for this trip and to be able to carry your backpack with a sleeping bag, some extra cloth and your lunche/drink. Please ask us for prices for bigger groups.